Image: Dramaturgical model by Ulla Ryum. 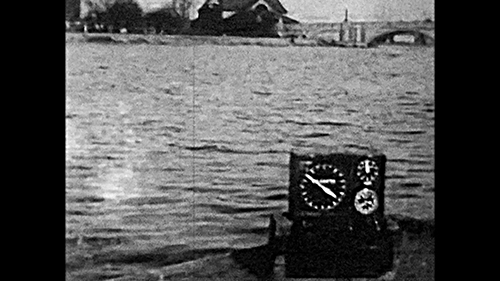 Method Time Measurement (MTM) was developed shortly after WWII with the aim to rationalize and optimize all movements and motions needed to perform manual labour. The process involves analyzing motions, describing them and assigning them ideal duration times. From 10 basic categories 1600 subcategories were defined. The assigned times are supposed to be representative for an experienced worker under normal circumstances. It takes around 2000 cycles until an MTM measurement becomes standard. MTM is consequently also used to predict and expect task times of complete production cycles. But evidence shows that reality and theory don’t agree as the system relies on analyst judgement and results may not reflect on the accuracy of the work done.This did not prevent MTM becoming a popular and widespread tool to increase productivity in labour. MTM is a process much in line with earlier developments of scientific management, automation and mechanization such as Taylorism and Fordism. 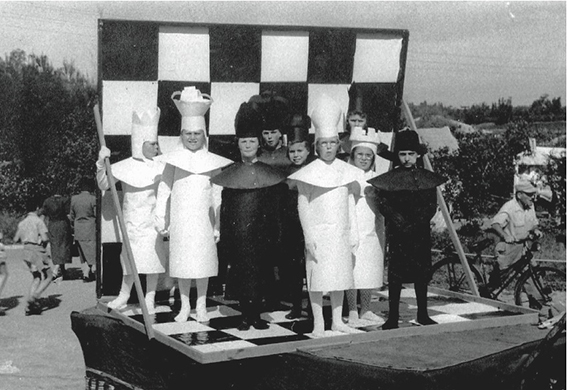 It is easy to see early forms in the enthusiastic appropriation and application of mechanization processes in Soviet Taylorism. Aleksei Gastev, poet and factory worker was a passionate promoter of ‘systematic planning’, ‘chronometration of time’ and ‘automated uniformity of labor’, pushing his vision of assembly-line production and rationalization so far as to make Fords theories compatible with Karl Marx’ thinking. As the founder and first director of the ‘Central Institute of Labor’ (1920-1937) he was also instrumental in the Constructivist’s artistic and architectural appropriation of Taylorism, since his distinct interpretation lent itself to modernist aesthetics and it was his fanatical promotion that paved the way for the embrace of the machine cult by the Soviets. It is notable that Gastev had very well understood that mechanization basically meant the mechanization of man himself and that this process had to go so far as to encompass his so-called mental activity basically even if it this meant going against human nature. Psychophysiology and Psychotechnics, a much revered and adopted discipline within Taylorism, were exactly trying to achieve this reprogrammation of the human mind. In short Psychotechnics is defined as a scientific theory aiming to seize and subordinate the mind and artificially control behavior. The discipline researched in an experimental manner a variety of problems also related to aesthetics, such as the balance of simple shapes,symmetry, repetition of spatial forms, rhythm and rhyme, impression of the poetic language elements, the conditions of uniform appearance and so on. Ultimately it served as a further tool to achieve the mechanization of the human as Gastev had demanded, to reach not only physiological perfection but also the adjustment of mind and behaviour to the needs of machines. Very much opposed to the enthusiastic adoption of scientific management, the cult of machines and the great hopes for improvement of labourers lives through less working hours, better payment and more time for intellectual and artistic labour in the Communist context was the reception or anticipation of mechanization in the Western countries. The introduction of machines was received with a great amount of anxiety and fear of replacement and obsoleteness by the workers. Additionally it was very soon clear that the improvement of efficiency through machines within the system of Capitalism would only serve to further exploit and oppress workers while increasing profit on their backs. This structure of feeling sounds actually all to familiar if we think about contemporary sentiments towards labour market and its current or anticipated developments. The rapid evolution of new technology, robotic systems, artificial intelligence and all possible cross pollinations of these have many a professional worried about the close future in their respective disciplines - except now this does not only concern workers, but also academically trained people. Similarly if the methods of scientific management entailed measuring the ‘ideal’ movements of workers (be it physically or mentally) to increase efficiency and profit or leisure time (depending on political context or vision) nowadays we see all of our data mined and extracted to the maximum as data has become the most valuable capital in a digitally dominated world and going full circle in the newest developments that have seen tech giants invest in physical stores to further increase the surveillance and extraction of information through tracking of offline movement and behaviour. The death of capitalism has been announced many a time, but each step seemingly closer to collapse we have seen it mutate into a harsher and more merciless monstrum - so in what kind of Capitalism are we currently living? In an attempt to define exactly this Nick Srnicek describes the current state of prevailing economy as Platform Capitalism. So from the Fordist model of mass production and mass consumption we went a Post Fordist model that saw flexible production, the individualization of products, responsiveness to consumer preferences and outsourcing of non profitable sectors at its core and money was to be made mainly through branding. Parallelly we went from life-long careers to jobs, arriving to a rhythm of employment from gig to gig. Platform Capitalism on the other hand operates with intermediaries and offering of infrastructures. The main revenue streams within these structures consist of advertisement, cloud computing, products and sharing economies. The strategies applied lead to monopolization through network effects (just think how hard it is to escape companies such as Facebook or Google in one way or the other), cross subsidization where companies offer services for free to get more people on board and raising prices on other items to make profit and ultimately they all come with a built in architecture that does not allow for neutral unmonitored exchange but requires adherence to specific rules of behaviour, manipulating its users. consumption into profit but even leisure, idleness or sleep while ever increasing this effect through constant manipulation with the same means. Again we can argue that the discourse is evolving between two very disparate visions, on the one hand those who see the digital as a means to liberate the human, free up time for leisure or intellectual activity, increase salaries and therefore break down hierarchies, decentralize control and possibly even help harmonize social relations and on the other hand those who see the increased omnipotence of technology as the ultimate tool to further oppress and exploit, increasing the power, surveillance capabilities and wealth of the ruling class. We might agree that currently the latter scenario seems significantly closer to our reality, indicating that without changes to the underlying framework it is not likely that technology will radically improve the lives of the masses - we are left to wonder how to possibly move towards the first? Jirka Skála (born 1976 in Sušice) is a visual artist based in Prague. His work is close to the tradition of postconceptual art and participative art, these tendencies being reflected through the mediums of text, performance, installation, photography and videos. Earlier works thematised the textual narrative and alternative modes of communication, later he investigated the duality of socially and privately determined relations to consumer productions by means of work or leisure resources. Deepening his research in this field, for this exhibition Skála dissects his personal archive in form of an external hard disk, revealing not only his working structure but also his physical relationship to this familiar object and realizations of the conditions his artistic practice operates from. Skála presented his works in a variety of international show such GNS at the Palais de Tokyo in Paris in 2003, I, an exhibition in 3 acts at Secession in Vienna in 2006, 25 Years Later: Welcome to Art in General at the UBS Art Gallery in New York in 2007, The Other Tradition at Wiels in Brussels in 2011, A Plea For Tenderness at Seventeen Gallery in London in 2012, Manifesta 11 in Zurich in 2016 and in personal shows such Hygiene at Display Gallery in Prague in 2002, Exchange of Handwriting at Art in General in New York in 2006, Two Families of Objects at Hunt Kastner Gallery in Prague in 2007, You are Object, I am the Impulse at Gallery of Vaclav Spala in Prague in 2010, Third Family of Objects And Confrontational Reading at Hunt Kastner Gallery in Prague in 2012, Jabberwocky at Foksal Gallery in Warsaw in 2014, and finally Playfield, Documents Free time, Unpaid work, recreation and idlness atEtc Gallery in Prague in 2016. He received Jindrich Chalupecky Award in 2009. A person born in 1993 or later who will generate the content of the film and be the filmmaker (1). A person who can run a 16mm camera. A 16mm camera to be used for the recording. No sound. A 16mm color film wheel long enough to generate about 10-11 minutes of finished material (2). A computer connected to the internet. Preferable as large a computer screen as possible, but not a projection. The camera will be placed facing the computer monitor with the viewfinder covering the entire screen, but not the machine itself or the people operating it. The image will be static and the film shot in a single take. The browsing session should not be planned or thought through. For the duration of one single take the person born in 1993 or later will take us through images, texts, news, social media, forums, emails, chats and videos, with the ease of doing what one always does, like a flâneur walking the streets of a city center, using the web browser of their choice. Mark the exposed film with your (internet user) name, location, date and time of filming and send it off to the lab. (1) Access to computers and to the internet is of course not something that is equally distributed or available to all, and I want stress that this person doesn’t have to be a frequent computer or internet user, only born into the world at a time when these technologies were already existing and available. #1 Take measurements of all surfaces in space. #2 Build 3D model in Rhinoceros 5.0. 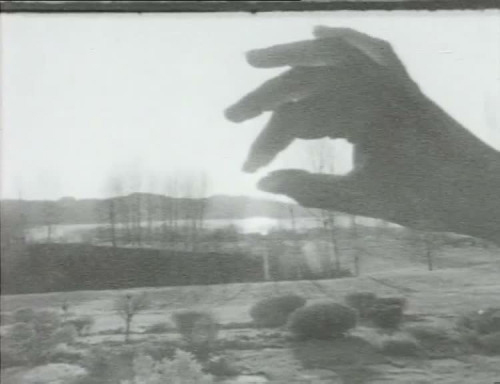 Kajsa Dahlberg: Still from Reach, Grasp, Move, Position, Apply Force (2015). Photo is from The British Universities Film & Video Council. As a part of Kunsthall Trondheim's opening programme, we welcome you to art conversations. to Work will be performed after the art conversations. 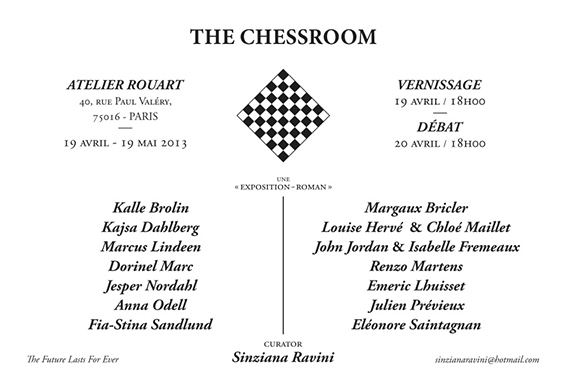 The art conversations will be held in English. Claire Fontaine (France) and Alexandra Pirici (Romania). The exhibition takes its title from A K Dolven's work this is a political painting (2013). the other works in the exhibition. The Society Machine examines the image of contemporary Sweden, beginning with industrialization, the cultural transformation which served as the foundation for the world-famous Swedish welfare state. 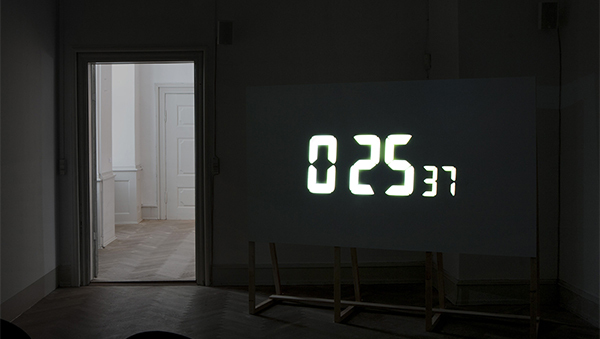 Works by approximately thirty artists are exhibited in dialogue with objects from Malmö Museer's historic collections. Together, they portray a society fundamentally changed, today in the midst of its next large-scale transformation. Over the course of a year and a half Avi Alpert and Rit Premnath hosted a series of public discussions at The New School. Each meeting concentrated on unraveling a keyword – a term that carries with it both a sense of urgency and agency in our present climate. By inviting artists, writers, activists, philosophers and others to propose terms and lead discussions, they opened up their editorial process to the motivations of an interdisciplinary group. This yearlong series has culminated in Shifter’s 22nd issue Dictionary of the Possible. 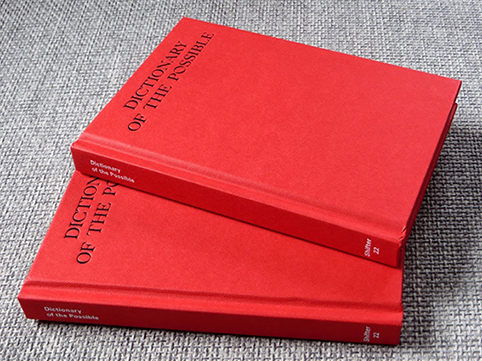 This "dictionary" catalogs the keywords taken up for discussion over the course of a year, accompanied by a list of questions provoked during each discussion. Rather than providing static definitions they present a book that continually incites discussion. Wake up! This is station 2016 on your dial. If you can’t find it then you’re in trouble, sister. Wassan Ali, Bini Adamczak & Konstanze Schmitt, Anna Bromley, Cinenova Feminist Film and Video Distributor / Karolin Meunier & Sandra Schäfer, COOL FOR YOU, Kajsa Dahlberg, Athena Farrokhzad, Feministische Gesundheitsrecherchegruppe Berlin / Julia Bonn & Alice Münch & Inga Zimprich, Feminist Repair Café / Elisa Garrote Gasch, Annie Goh, Minna Henriksson, International Women's Space, Karolina Kucia, Las Hipókritas, Lowkick Tag Team, Peer Projekt / Hydra, Iris Rajanayagam, Noha Ramadan, reboot.fm / Diana McCarty, Naomi Rincón Gallardo, Sabrina Saase & Lanca, Nora Sternfeld, Dominika Trapp & Virág Bogyó, MC Xuparina, Andrea Zarza & Miranda Iossifidis a.o. A message from the future is warning us that time is running out. In the past years Europe’s colonial continuities and deeply rooted fascist practices have come to the fore in ever more frightening ways. Resistance is now crucial. We urgently need to revive old and develop new feminist and anti-fascist strategies of resistance and survival. No play proposes a structure, a temporal, spatial and social architecture that turns the exhibition space of nGbK into a resource, a site of activity and exchange in the shape of a Feminist Training Camp. The Training Camp stems from a queer understanding of feminism with a strong emphasis on grassroots models of collective organization, knowledges based in lived experience and the handling of daily oppressions. A space for disagreement and negotiation that can create a situated public considered political. For this, an intersectional understanding of how categories such as gender, race, class, ability, and sexual orientation are intertwined in oppressive power structures is necessary. I'm part of this great event in Oslo next week. Hope you can come! 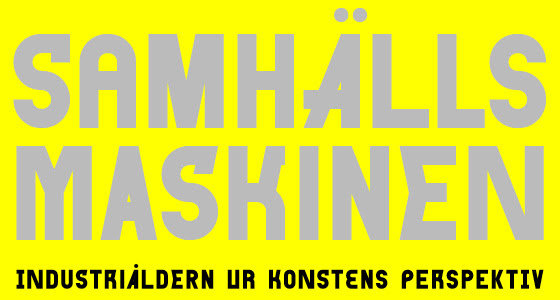 The forum meetings will take place in Atelier Felix, a new round table room in Kunstnernes Hus, and the screenings etc. will take place in Akademirommet in the same building. The program is open for the general public to engage in. Please note that certain parts might have limited places. First come, first serve. For details please contact livbugge@khio.no or jespalva@khio.no. 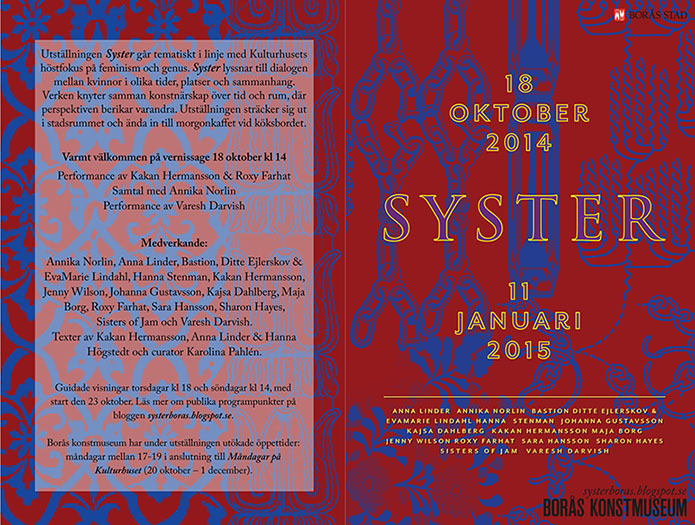 Stipendiatforum is a semi autonomous forum for the research fellows at the Oslo National Academy of the Arts (KHiO). Since 2013, the forum has invited different guests for a day or two in conversation in different homes, sidewalks and meeting rooms. The intention has been to share and engage in each other’s practices through conversation that develops with time, care and within an informal structure. The phenomenon of suffocation of public space by intensely communicated content defines contemporary society, together with the ways in which the very society treats this phenomenon. The precarization of the system is in full force; even those more successful, if they are attempting to preserve full moral integrity, enter exceedingly disadvantageous relations of invested labour, free time and financial compensation. Heroic exhaustion is partly an auto-ironic construct of the protagonist of artistic scene which refers not only to the physical and mental exhaustion of those included, but also to the exhaustion of ways and spaces which are used for greater visibility of artistic activity. An intensive struggle for public space is being fought, both for physical spaces or locations of still existing cultural magazines and papers, as well as for the space for transferring messages and competing for the attention of the audience whose concentration is growing weaker. 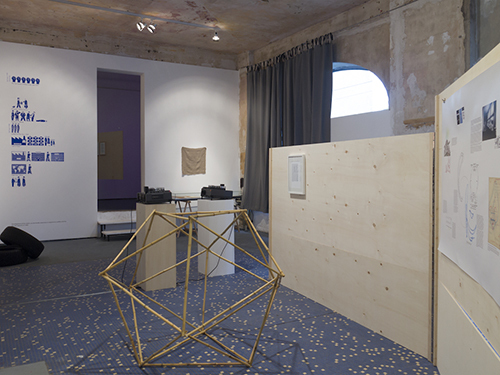 By analysing approaches to communicating the desired message, the exhibition presents artistic positions of different critical intensities directed towards the system they are a part of. The key element is the control over personal freedom of agency which is endangered by the general precarization of employment. By exhibiting various methods of artistic work, we are influencing not only the interpretation of the notion of heroic exhaustion which becomes not only ironic, but also an accommodating description of current state of a generation imprisoned within inevitable changes of social and economic relations. 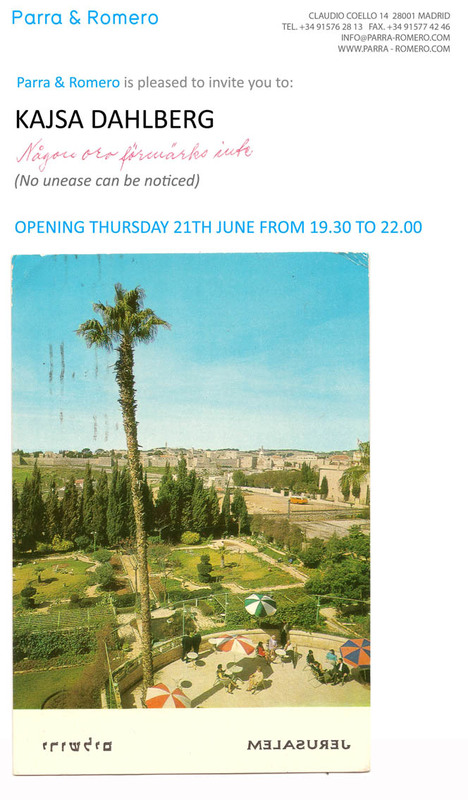 The exhibition is a part of the collaborative project This Is Tomorrow. 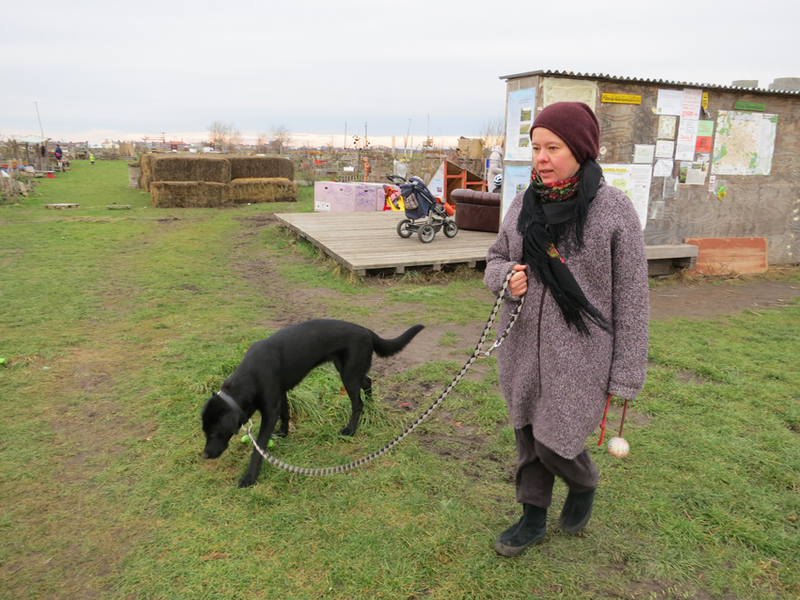 Back to Basics: Forms and Actions in the Future of What, How & for Whom/WHW, Zagreb, Tensta Konsthall, Stockholm and Latvian Center for Contemporary Art / LCCA, Riga, with the support of the Creative Europe Programme of the European Union. A half-day workshop exploring collective acts of annotation, translation, and recontextualisation in relation to feminist reading and writing. 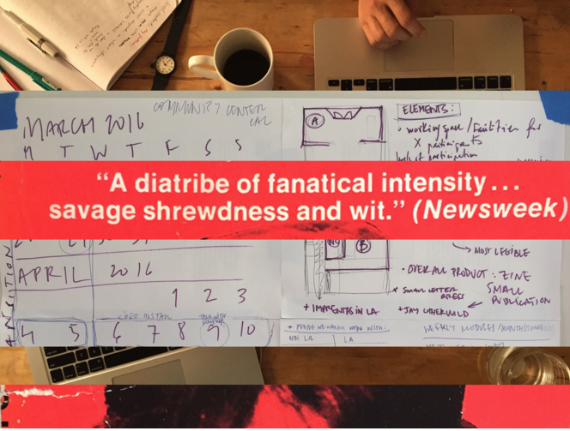 “Intimate Acts” is an attempt to produce a collective political language through a series of practical activities organised around extracts of existing text. 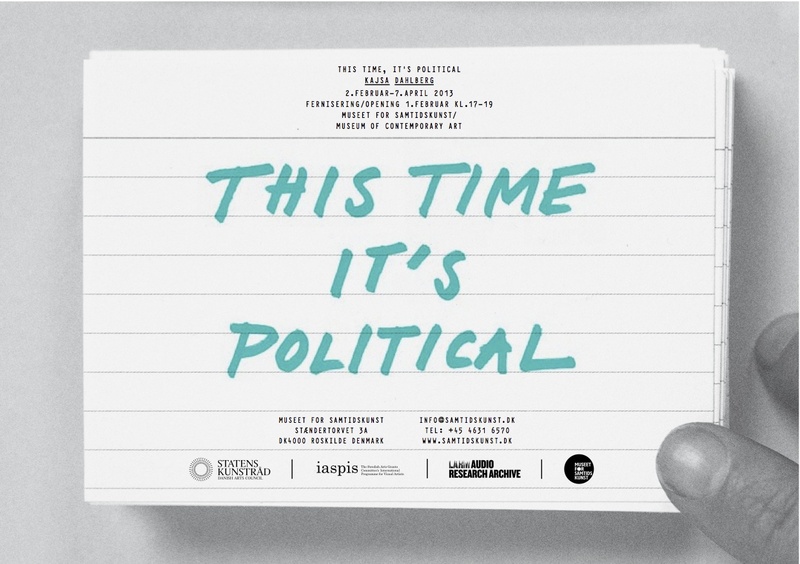 The workshop will consider how strategies of citation, translation, annotation and appropriation can be put into the service of a feminist politics and what is at stake in doing so. Reading transforms the meaning of a text. Sometimes this transformation manifests as a material intervention. For example, annotations generate an alternative text in the margins of an original. Underlining passages, we single out extracts to return to at a later point, share with others, or else deploy in a different context. Quotations articulate things that matter at the time. They help to give form to our own feelings, desires and demands. Reading allows us access to languages other than our own and in turn gives written language over to circulate as a new set of possibilities. Feminism has often emphasised experimental forms of literature. It has politicised reading through collective reading groups and by developing radical approaches to translation and distribution. Feminist writers have worked to show how language shapes us and have invented strategies in order to reconfigure, disrupt or undermine what Gertrude Stein once referred to as “patriarchal poetry”. In doing so, feminist literature and theory has made traditional forms of language speak otherwise in the on-going pursuit for self-knowledge and self-determination. Participants are asked to bring a book with them in which they have underlined a short passage of text. , (1–13 December, London 2015). Image: Anna Valeria Borsari, Autoritratto in una stanza, documentario [Self-Portrait in a Room, Documentary], 1977, still from video. Courtesy of the artist and Archivio Cavallino, Venice. Juxtaposing historical with contemporary positions, the series explores feminist concepts of generation and genealogy. It asks whether practices of consciousness-raising and collectivity might help us to combat the fragmentation, exhaustion and anxiety that we experience under networked capitalism. The programme draws inspiration from Italian feminisms, including the work of collectives formed in the 1970s: Rivolta Femminile (Female Revolt), Libreria delle Donne di Milano (Milan Women’s Bookstore Collective), and Lotta Femminista (Feminist Struggle). A touchstone is the work of Carla Lonzi, the writer and cofounder of Rivolta Femminile, and her refusal of power and rejection of masculine creativity that exploits female supportive activity. This process of ‘deculturation’ entailed Lonzi’s withdrawal from her roles as an art critic, as a feminist leader, and from her relationship with her lover, the sculptor Pietro Consagra, which she documented in a dialogue between them called Vai pure (Now You Can Go). Now You Can Go grows out of the Feminist Duration Reading Group which meets monthly at Space Studios in London. 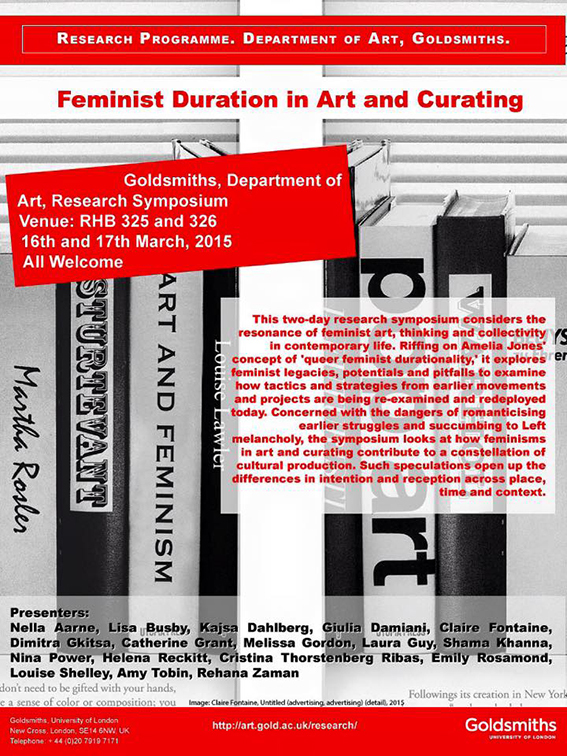 The programme has been developed by participants from the Feminist Duration Reading Group including Angelica Bollettenari, Giulia Casalini, Diana Georgiou, Laura Guy, Irene Revell and Amy Tobin, and is coordinated by Helena Reckitt with Dimitra Gkitsa. Supported by the Arts Council of England, Grants for the Arts. With additional support by Goldsmiths’ Annual Fund, Goldsmiths’ Art Department, and the Women’s Art Library at Goldsmiths, University of London; EWVA European Women’s Video Art in the 70s and 80s’ (DJCAD, University of Dundee); IASPIS; and Electra. ​Reach, Grasp, Move, Position, Apply Force​ follows the development of film and video technology through time management systems, an invention that historically served to increase the efficiency of labor as well as to establish pathologies of neurophysiology. 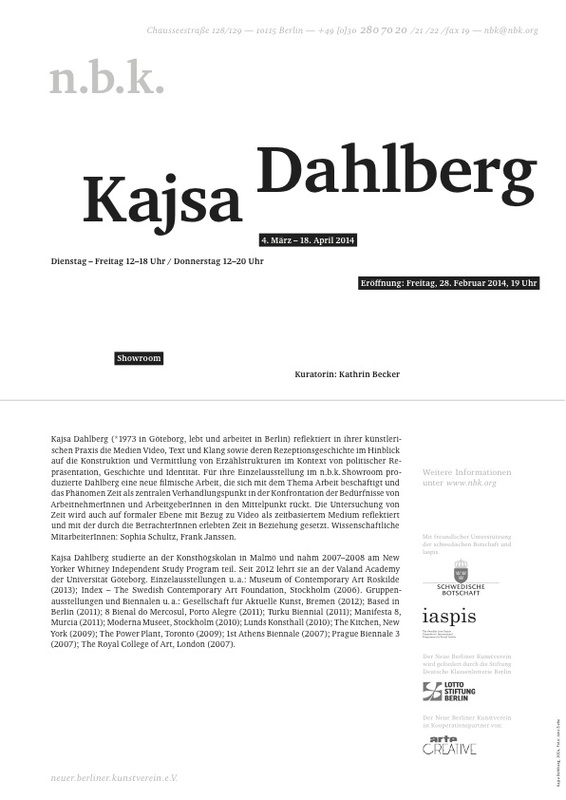 This recent work of Kajsa Dahlberg seeks to understand the way that these motions, measured in time, today are a source of conflict in conglomerate companies like Amazon and Apple, but also in freelance work, and questions their utility for strategies of both control and resistance. 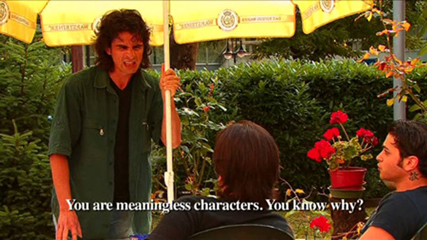 The film may also be considered a reflection on the conditions of artistic practice. 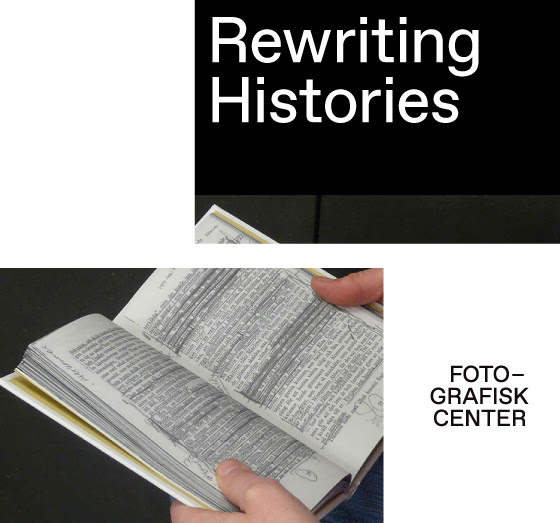 Rewriting Histories examines how history can be retold from a contemporary perspective through film and video works, slide installations and photography by internationally renowned Danish as well as international artists. The exhibition focuses on history and the archive - a theme in art - that with recent political events has received renewed attention and relevance. Rewriting Histories – conceptually staged in an intriguing visual language - is curated in collaboration with artists Lasse Lau and Benj Gerdes at Photographic Center. A Feminist Culture Reader undersøger den enorme indflydelse feministisk tænkning har, og har haft, på forskellige generationer af billedkunstnere, i et nationalt og internationalt perspektiv. A Feminist Culture Reader byder på værker af kunstnere med vidt forskellige (feministiske) positioner, der hver især giver et indblik i eksistens set igennem køn, traume og (kunst)historisk materiale. 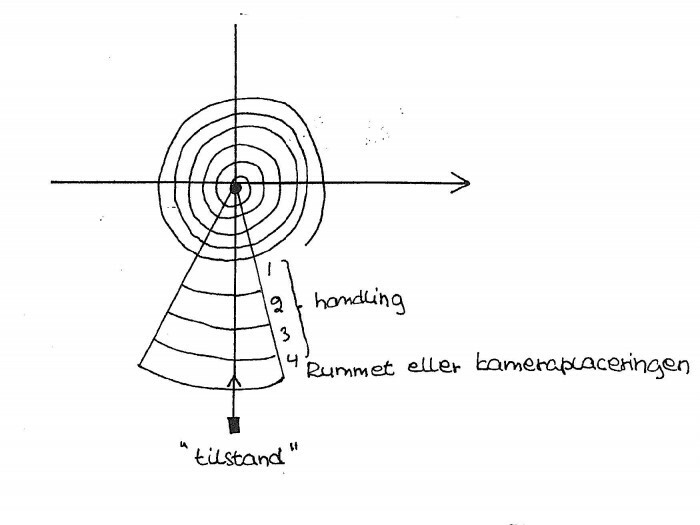 I serien Arbetarkonst: System som ”Methods –Time Measurement” (MTM) markerade på slutet av 1940-talet ett radikalt brott i synen på kroppsarbete genom att fokusera på mänskliga rörelser. I filmen Reach, Grasp, Move, Position, Apply Force undersöker Kajsa Dahlberg genom videotekniken hur dessa rörelser knutna till tid idag förhandlas inom alltifrån gigantiska företag som Amazon och Apple till budfirmor och frilansare. Filmtiteln beskriver samtidigt Dahlbergs konstnärliga metod för arbetstidsundersökning. MABL -Mobile Artist's Book Libraryvisits Istanbul to present and collaborate with Swedish and Turkish artists' books and related artists. 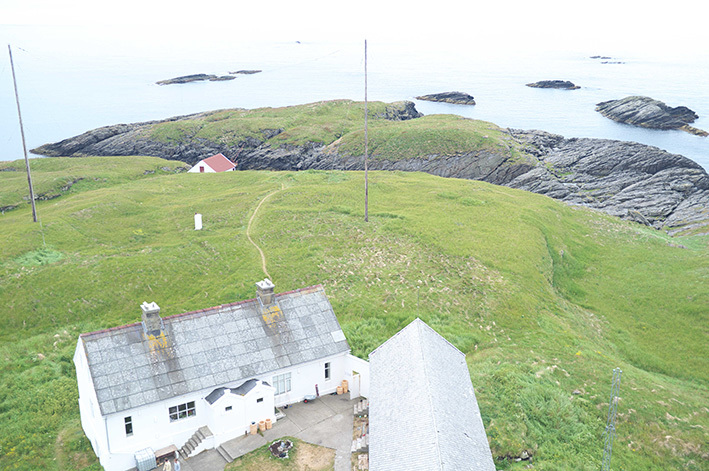 The aim is to exchange thoughts, ideas, artistic methods and works and not theleast to initiate possible future collaborations with artists and organisations on location. As a follow up and continuation of the project and the exchange in Istanbul MABL is invited to Plattan Library at Kulturhuset in Stockholm later this fall 2015. In conjunction with the opening of the Istanbul Art Biennal MABL runs a three dayprogrammed presentation at Aciliyet Mektebi/School of Urgency and the bookstore Robinson Crusoe 389 at SALT Beyoğlu. Also includingan event at BAS in Karakoy. 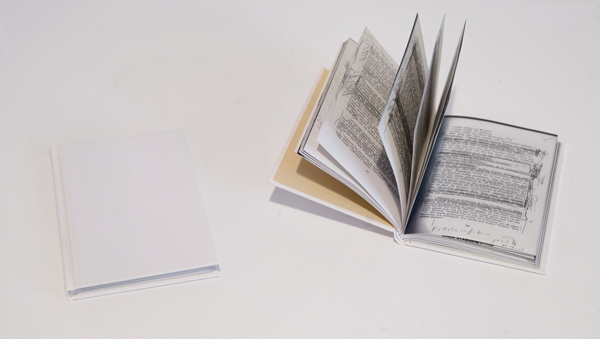 MABL presents parts of its collection of artist's books and publications juxtaposed with parts of BAS collection. BAS is an artist run space in Istanbul initiated by Banu Cennetoğlu where artists' books and publications arecollected, displayed and produced. Two exhibitions for the Kilometre of Sculpture, Võru, Estonia: "Working Drawings And Other Visible Things On Paper Not Necessarily Meant To Be Viewed As Art (After Bochner)" and "Small Good Things (Artworks We Like That Fitted In Our Suitcases)"
Artists: Bengt Adlers, Conny Blom, Mel Bochner, Kalle Brolin, Vasja Cenčič, Martin Creed, Kajsa Dahlberg, Jeremy Deller, Ditte Ejlerskov, Milanka Fabjančič, Vadim Fishkin, Tomaž Furlan, Johan Furåker, Alexander Gutke, Felix Gmelin, Carl Michael von Hausswolff, Ištvan Išt Huzjan, IRWIN, Janez Janša, Janez Janša and Janez Janša, Stine Marie Jacobsen, Lisa Jeannin, Žiga Kariž, Clay Ketter, Jukka Korkeila, Anna Ling, Anna Lundh, Miltos Manetas, Jonathan Meese, Peter Miller, Kristina Müntzing, Jesper Norda, Björn Perborg, Magnus Petersson, Adrian Piper, Klara Sax, Lina Selander, Emelie Sjunnesson, Nataša Skušek, Nina Slejko Blom, Nedko Solakov, Mladen Stropnik, Annika Ström, Stefanos Tsivopoulos, Leon Zuodar, Serkan Özkaya, Ulla West, Johan Wik. 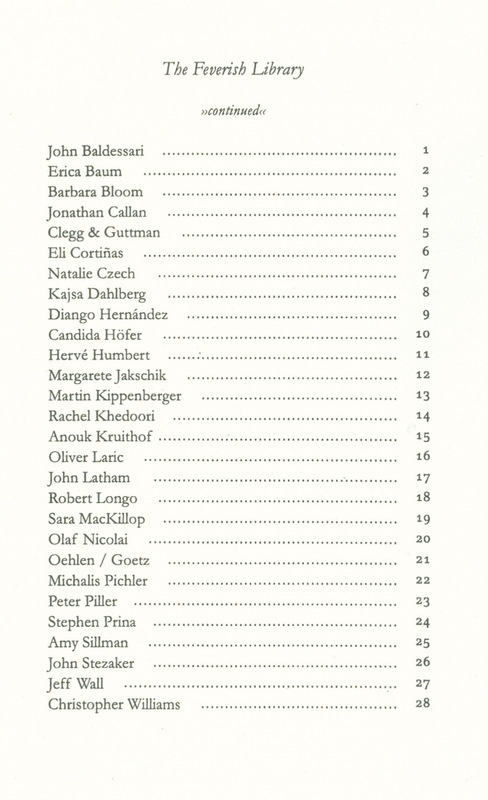 The Welfare State contains new and existing works by eight artists of different generations: Francisco Camacho Herrera, Josef Dabernig, Kajsa Dahlberg, Róza El-Hassan, Donna Kukama, Artūras Raila, Anne-Mie Van Kerckhoven and Stephen Willats. It also contains visual and textual material from the four cultural archives in Flanders: Amsab and the Liberal Archive in Ghent, KADOC in Leuven and ADVN in Antwerp. The welfare state is an abstract notion. But also very concrete. Political, but also bureaucratic. What does it have to do with art? The welfare state is an emancipatory political project, although it was first invented as a way of keeping class struggle and revolution at bay. It is hard to disassociate the European welfare state from the darker elements of recent history, such as militarism, colonialism and the degradation of the natural environment. Yet the welfare state, as a model for social cohesion and political stability, is now gaining ground in new parts of the world, notably in East Asia. 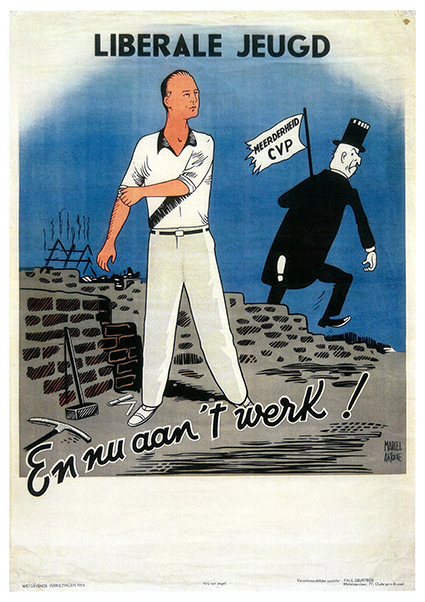 The exhibition The Welfare State does not look back with nostalgia at the welfare state in its ‘classical’ form as a utopian blueprint for an egalitarian (and homogenous) society in postwar Western Europe. It does not invite artists to ‘illustrate’ political and social engagement. But it does ask some fundamental questions. What is the ‘imaginary’ of the welfare state? Does it have a ‘form’? Can it be ‘shown’? The Welfare State is accompanied by a printed publication, and by an ambitious discursive programme. During the spring of 2015 M HKA organises a series of public seminars in collaboration with the researchers at the Herman Deleeck Centre for Social Policy at the University of Antwerp. 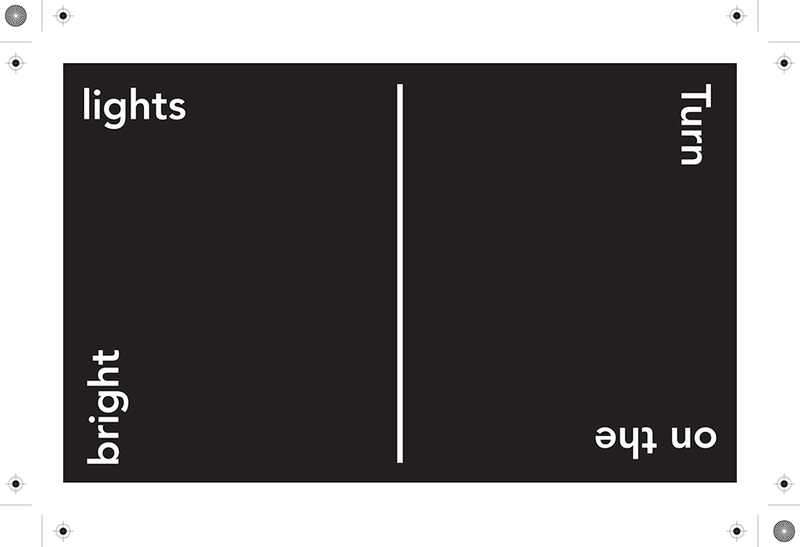 Public forums are organised on 30 May 2015 at Cinema Zuid in Antwerp, in collaboration with CAHF (Contemporary Art heritage Flanders) and in September in Brussels, in collaboration with the Flemish-Dutch House deBuren. We Can (Not) Work It Out: A Curatorial Inquiry into the Danish Radio Archive is a practice-based PhD thesis written by Trine Friis Sørensen, a curator and a PhD candidate at Department of Arts and Cultural Studies, University of Copenhagen. 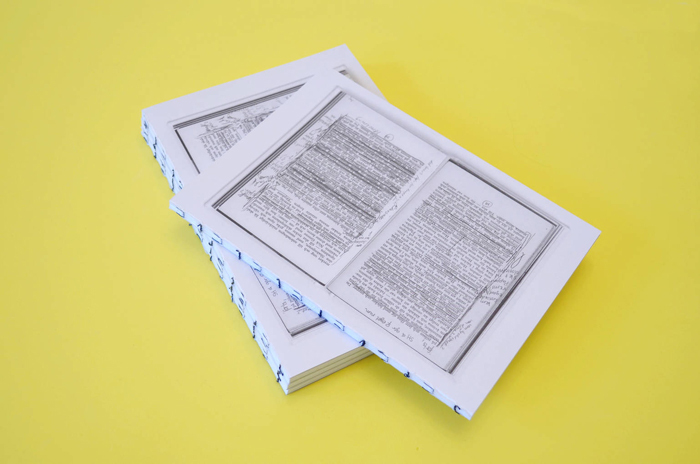 The thesis is based on the commission of two artists, Kajsa Dahlberg and Olof Olsson, to produce artworks in relation to the DR Archive, the thesis inquires into the archival questioning that the artworks produce, and furthermore proposes a way to conduct research through curating. Friends and friends of friends join! 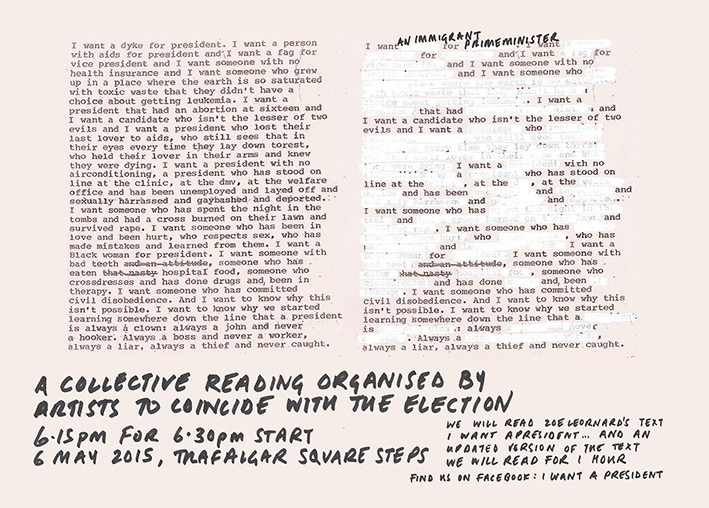 An invitation to read together on the eve of the UK General Election. On 6 May 2015, please join us on the steps of Trafalgar Square (directly outside the National Gallery) at 6.15pm for a 6.30pm start. We will be reading artist Zoe Leonard’s manifesto “I want a president…” (1992) alongside an updated version for 1 hour, after which we will reconvene in a local park or pub (depending on the weather) to celebrate. Bring yourselves, your lovers, your comrades, your family and friends. 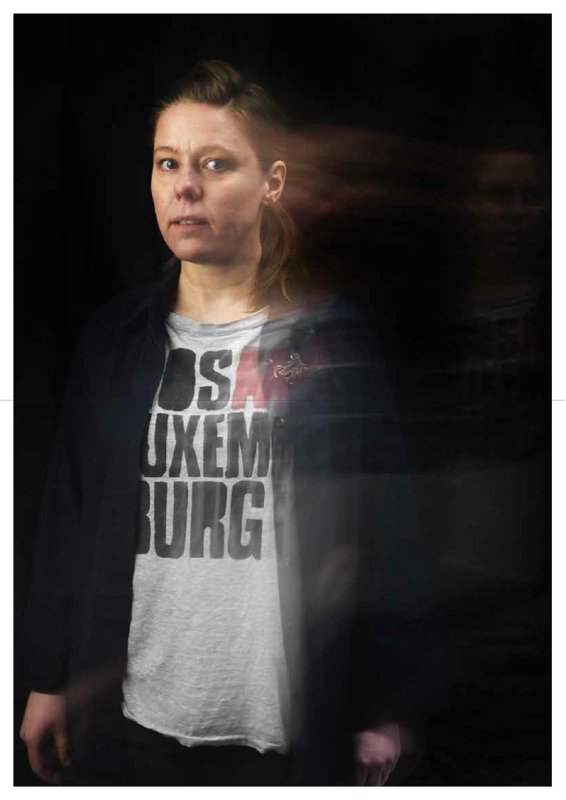 This is part of a series of readings that have been organised internationally and which were first initiated by a group of artists, Malin Arnell, Kajsa Dahlberg, Johanna Gustavsson and Fia-Stina Sandlund, in dialogue with Zoe Leonard and in response to the 2010 election in Sweden. The readings are politically independent. More information on the project can be found here and here and here. Seminar, Thursday 9 April 2015, at University of Antwerp in cooperation with M HKA. 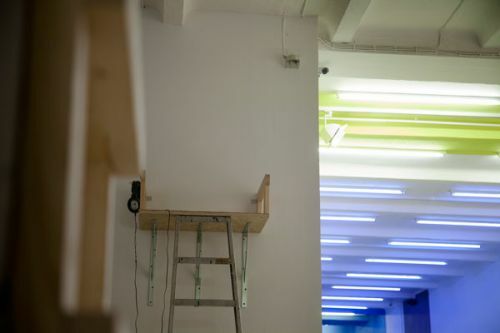 On Thursday, 28 May ‘The Welfare State’ will open at M HKA. The project includes an exhibition, with contributions by artists from different countries, as well as an ambitious programme of lectures and other public events organised in collaboration with a number of different partners in Belgium (academics, archives, cultural organisations). ‘The Welfare State’ aims at formulating pertinent thoughts about society and about art and society, and to address different aspects of the overall topic in different ways, creating meaningful combinations of art and non-art. A first event of this kind will take at the University of Antwerp on April 9, on the topic of the precarious worker. Last year saw the publication of a book ominously titled “The Precariat: The New Dangerous Class”. It contends that precariousness is becoming the new normality in globalised labour markets. Its author, Guy Standing, was not the first academic to reach or aspire bestseller author status with such claims. Academics and journalists alike have long been lamenting the decline of the fulltime, steady job in the wake of the turmoil brought by deindustrialisation, cut-throat global competition and skill-biased technological change. This seminar examines this alleged trend from an academic as well as an artistic angle. Ive Marx from Antwerp University will provide an introduction to the academic prophets of gloom and doom in the world of work. 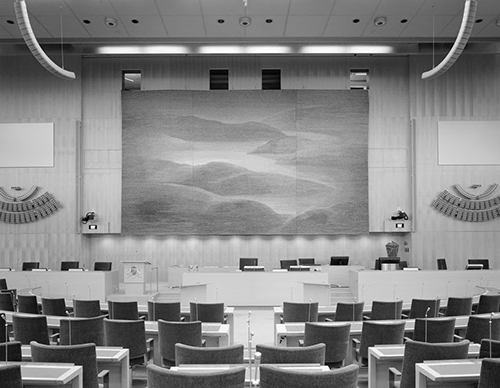 Swedish artist Kajsa Dahlberg will screen a rough cut of a new video on the negotiation of time in labour. 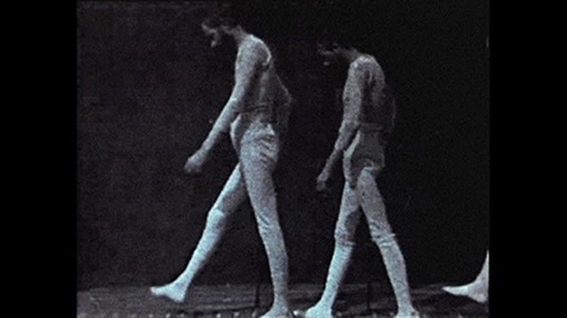 For more than a century, film has been used in experiments to understand and optimise our movements. Systems like the Methods–Time Measurement marked a radical shift in attitudes towards manual labour by focusing on the efficiency of human movements. Dahlberg uses the production of the video itself as a starting point to examine the negotiation of time in labour today, from Amazon warehouses, Apple manufacturers in China to smaller-scale service industries such as freelance translating and parcel delivery. Anders Kreuger, curator at M HKA, will moderate the discussion by referring to the thoughts articulated by other participating artists in the ‘Welfare State’ exhibition. 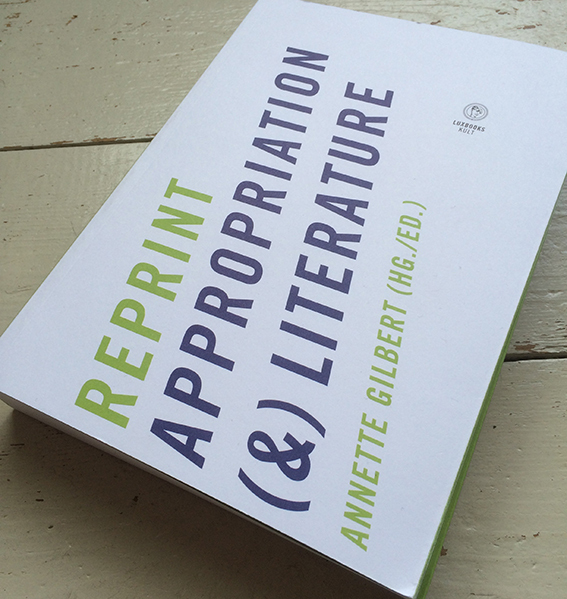 Annette Gilbert, a scholar in comparative literature at the Freie Universitaet Berlin, have written this fantastic book on appropriation litterature in which my piece A Room of One's Own / A Thousand Libraries is one of the examples. 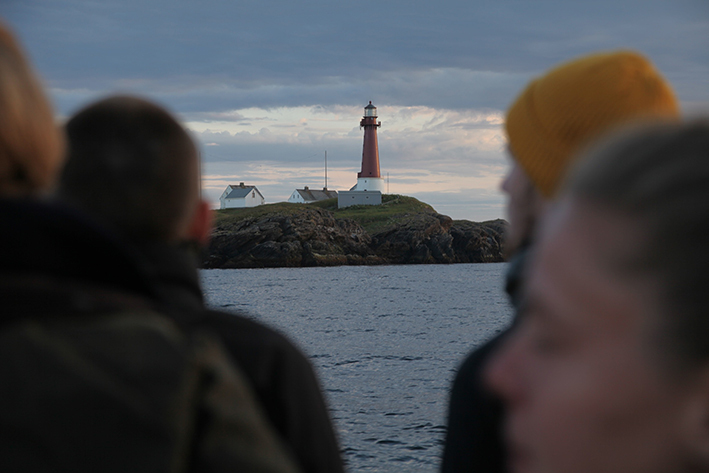 A week-long salon with 11 artists, curators and theorists at Skomvær Lighthouse organised by FRANK. A a night walk during daytime through Tiergarten in Berlin on June 16 2014. Is It Really working? A Physical Symposium/Crash Course has recently taken place within the framework of my MA thesis project for the Master in Curatorial Studies at CCS Bard. 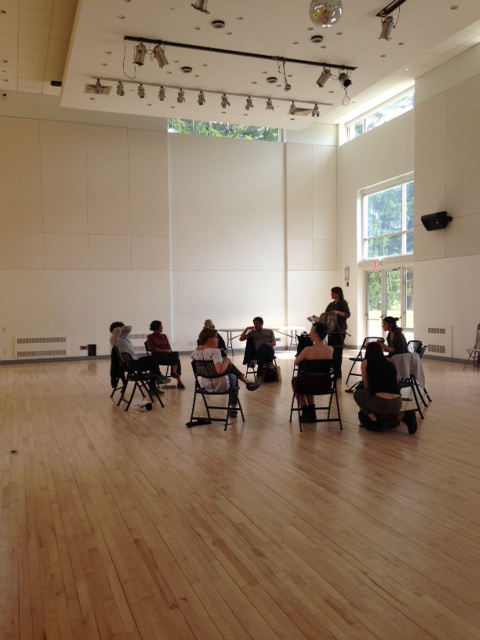 The symposium/crash course occurred between April 10th and 14th 2014 and comprised a series of closed and open conversations and workshops among artists and culture agents coming from different fields of artistic production. The idea was to gather around a discussion concerning the current conditions of culture production, with the current situation for artists, curators, and other art workers in the area of NYC as a starting point. The lenses through which we departed in our conversations is a sense of commitment to political positions informed by feminist and queer politics, with the constant problematization and questioning that such political affiliations entail. 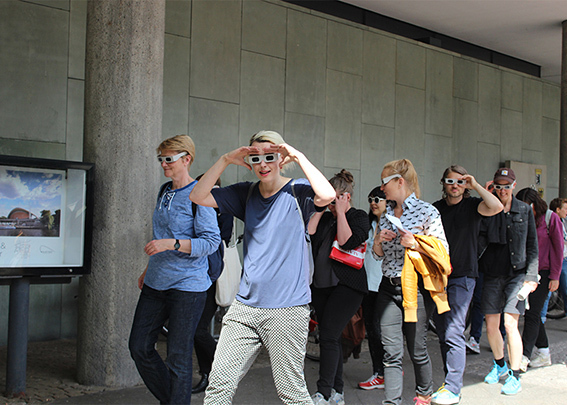 The core group that was invited to participate in this experimental platform was formed by Vanessa Anspaugh, Malin Arnell, Amelia Bande, Gregg Bordowitz, Kajsa Dahlberg, Andrew Kachel and Alhena Katsof. 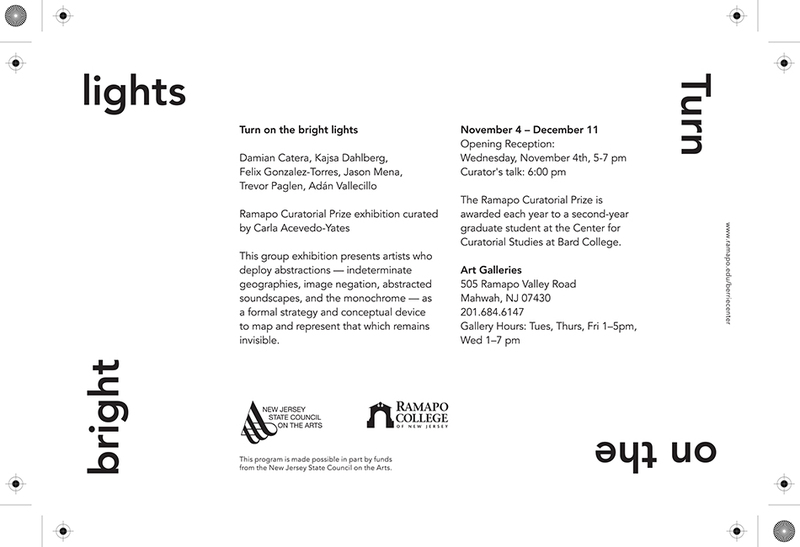 Arnell and Dahlberg, despite not being directly invited with the allocated budget for my project, were able to participate since they were also part of my classmates shows, Carla Acevedo-Yates and Andrew Kachel. Through a form of informal collaboration between us, they all were able to take part in these conversations, informing with their thoughtful formulations of their experience, the scope of the problematics brought to the table. 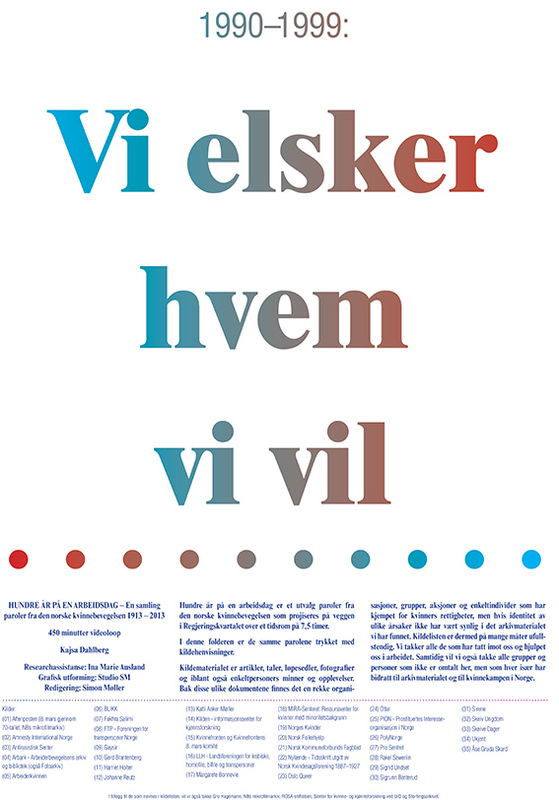 Poster procuced as part of the public art comission at the Government building R6 in Oslo, Norway. The piece One hundred years in a workday is a 7,5 hour long videoloop installed at the entrance of the building. Inaugurated on December 3rd 2012. The project is presented in two interrelated formats: on the one hand, we have the exhibition with key works that open up various narrative possibilities and, on the other, we have a novel.